I'm definitely no interior designer however I do love decorating and am a huge lover of great style and design. After recently re-decorating parts of our home this year to my style I can say that I am finally happy with how it looks! 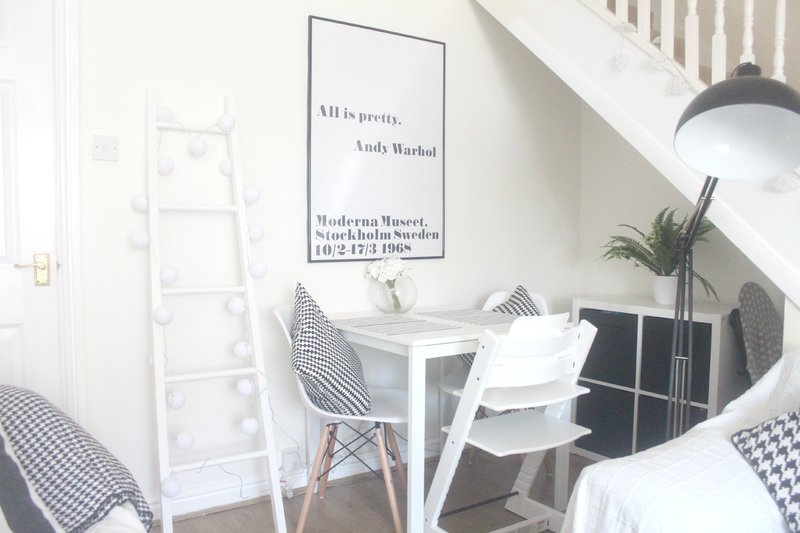 One of my favourite rooms is our living room, which I have created a small dining area instead of having the dining table in the dull kitchen. 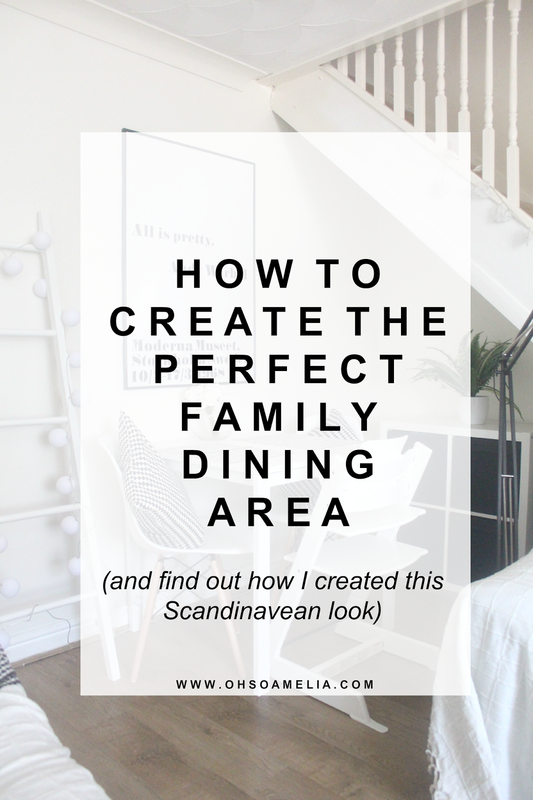 So, you may be wondering how to create the perfect family dining area. First of all it really doesn't matter if you don't have a specific dining room, a dining area will do and there are many ways to make this the perfect space for your family. Before going crazy, do your research to find ideas and styles that suit your taste and your home. There's no point racing to get it done and choosing something which you won't like a few weeks down the line. Use tools such as Pinterest, Instagram and Houzz to find ideas for your dining area. Create a Pinterest board and pin all of your ideas or even create a moodboard on Polyvore. 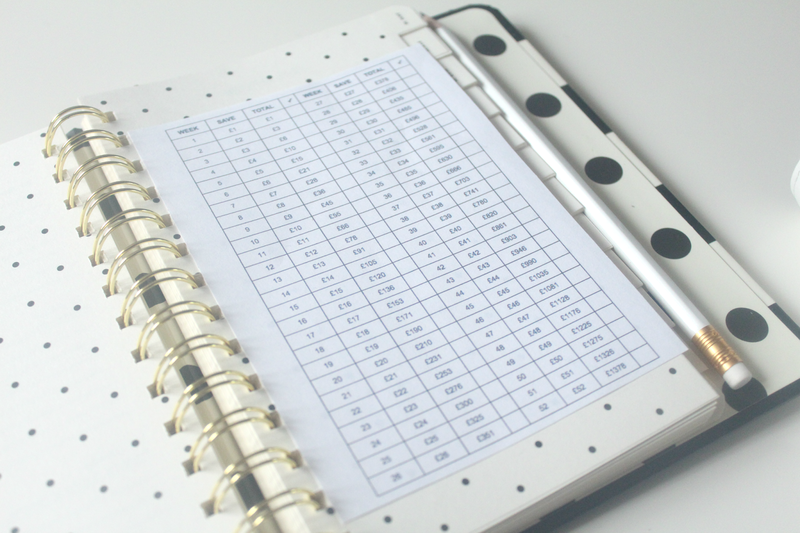 This will not only help you prevent making any unnecessary expensive purchases that you don't need but will also let you visualise the end result. Once you have all of your ideas saved to Pinterest or have created moodboards of different styles the next step is to decide on your style before you begin designing your dining area. There are so many different styles out there, do you like something more traditional, retro, contemporary or are you a fan of a modern Scandinavian look like myself? What ever it may be, ask yourself some questions about what you want the space to do for you and your family and what look you're hoping to achieve. Will it be more than just a dining area, perhaps to host storage for the kids toys? Do you need to re-paint the walls? Get some colour cards and test pots to make sure you find the perfect colour. The next step is to choose a dining table and chairs which go with your new style. The dining table should be the centre of your dining space and be big enough for all of the family and perhaps guests. You could perhaps buy an extending table as these are perfect for smaller spaces. You don't need to spend a fortune our table is from Ikea and was only £30 as I needed something small for the space I was working with. How about up-cycling your current table or a find from a local charity shop? Annie Sloane paint is perfect for this and turning something old into something beautiful! If you're looking for modern contemporary furniture for your dining room check out Danetti for many dining table sets in many styles and sizes. Once you have decided on your table you may need to think about the chair situation. You may decide on a table and chair set in which case you are sorted however if you prefer to have a selection of different chairs Eames chairs are great for this, you can get different styles and colours to create a lovely look. Ensure that there is also enough room at the end of the table for a high chair, the Stokke Tripp Trapp is great for kids as it can be used from birth with the newborn seat right up until adult hood, you could even splurge out and buy them for all the family in different colours! This means that all of the family can eat together and learn the importance of having family meals from an early age. When creating your dining area, decide whether you will be entertaining guests often or mainly using it as a family area. You'll need some sort of table accessories such as table mats, a centre piece, some flowers and condiments. Try and have some storage near by so they are easily accessible especially if you like to ask the kids to set the table up. We have an Ikea Kallax unit next to our dining table where I keep place mats and anything else we may need. Decorate the dining area to fit with the rest of your home with accessories, lighting and wall art. 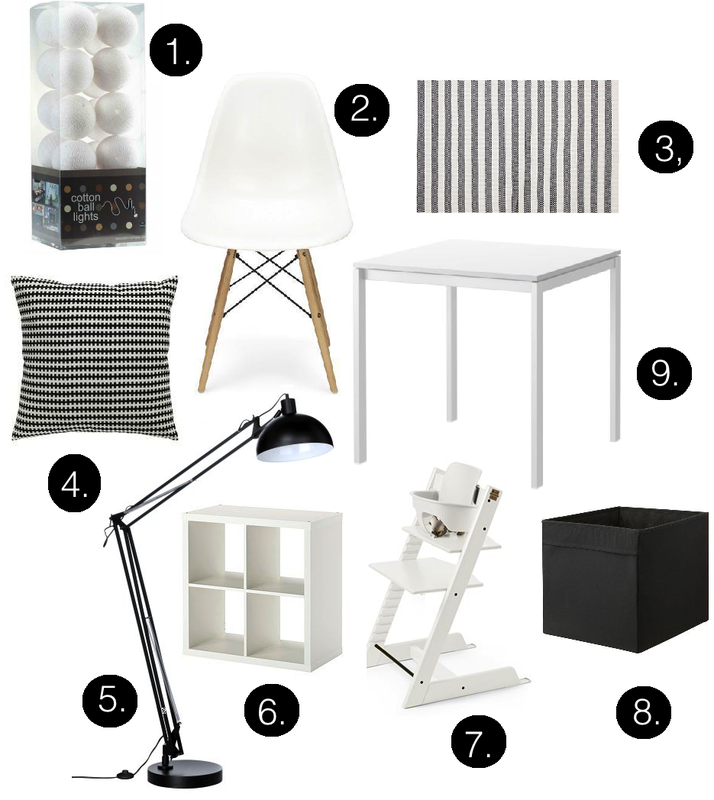 By adding a floor lamp or hanging lamp shade above the table you can create a stylish and modern atmosphere. 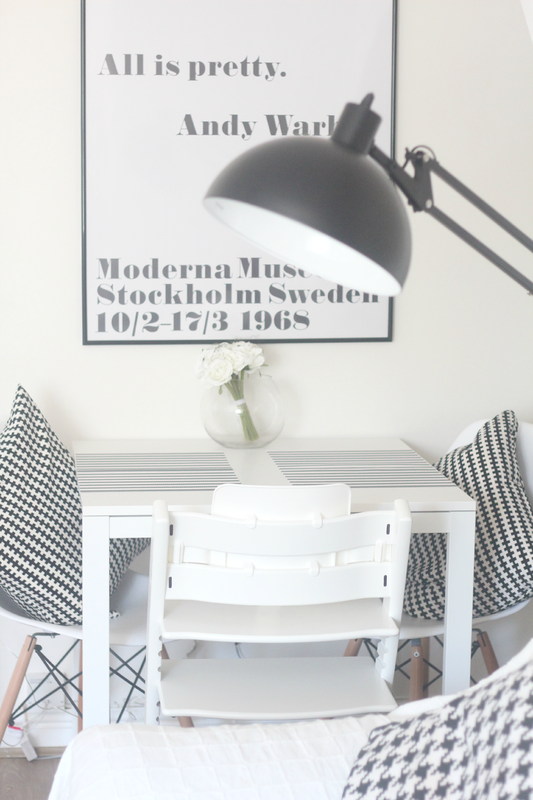 Heres how you can create our Scandinavian dining area look! You can find more dining inspiration over on my Pinterest boards. What makes the perfect dining area for you and your family? Fab tips - we currently use our Conservatpry as our dining room and have a table that folds away so there is room for kids to play. TBH though they don't play in there that often so I have been looking at a more permanent table to put in there. It looks lovely really! However every single time I try to do a house remodeling I end up with the need of a crazy budget and I don't do anything except a small clean up... Guess I must rethink my whole strategy ;D and what I actually want..
Oh Kerry this looks truly sensational. I would love all white and black but hubby hates it so I have had to steer clear I will live in a dreamy state just looking at all your amazing decor instead. Love this. We have two Tripp trap for the kids and love them. 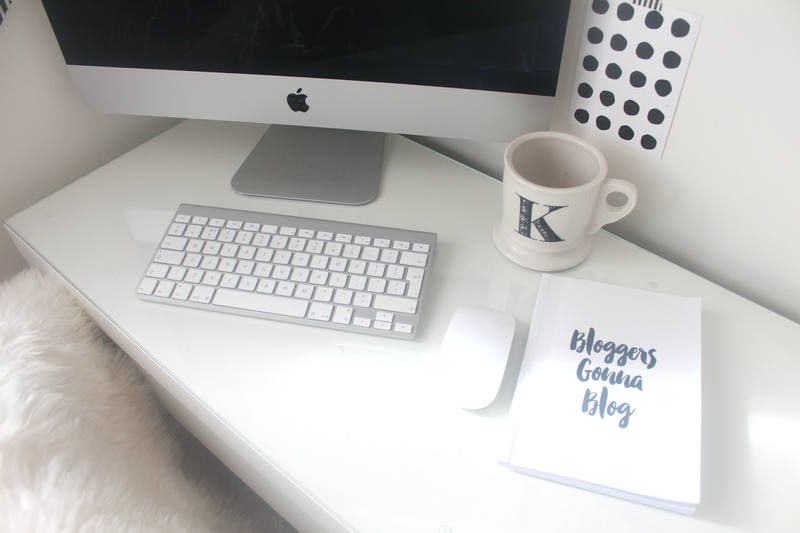 Some really great tips here lovely thankyou! I don't know what kind of look I am into but I like the wooden look. I am actually in the middle of redecorating our house at the moment. Starting with Matthew's room. I absolutely love your style and I've always thought that your home is beautiful Kerry! What a cute area!! I love the chairs that you picked. So simple, yet elegant. Love the colors and small space ideas! I am very much in need of a new dinning table, and love your ideas! Shopping I must go! I love the look! 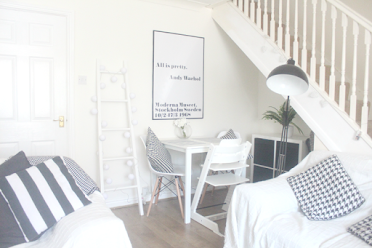 Being a small space, I think keeping with all white helps! Great tips! Our dining area is used pretty often so a big table was definitely needed in our space. I love your point of really defining your style before making any purchases. Such a smart idea for every area of the home. What a lovely space! I love the Skandinavian look in decorating. So cute! We have a small space for dining, so something like this would work great for us too. Thanks for the ideas! I love these ideas! Our dining room is one of my family's favorite hangout spots. I love your style! Looks great!